Oooooh... mmmmmy... You just pierced my cheese lover's heart. Bread lover's too. This makes me want to cancel my plans of tacos for dinner. Thanks for dropping by my blog and leaving a sweet comment :). This onion bread looks amazing! 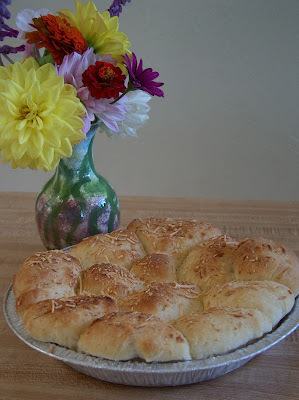 I love any type of homemade bread - it's the best kind of bread there is! Love the book you've written too. Some of us could definitely use the help and encouragement :). 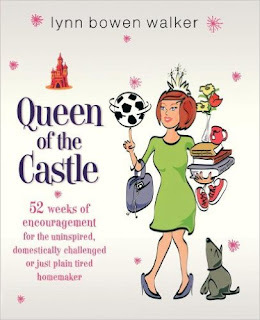 I don't have a castle to be queen of just yet, but when I do, I just might want to pick up a copy ;) haha. Oh so much cheesy heaven...I'm enamored. Wow, this sounds unbelievable. It wouldn't last 5 minutes in my house. Thank so much for stopping by to say hello! I'm so envious that you have a lemon tree in your yard! 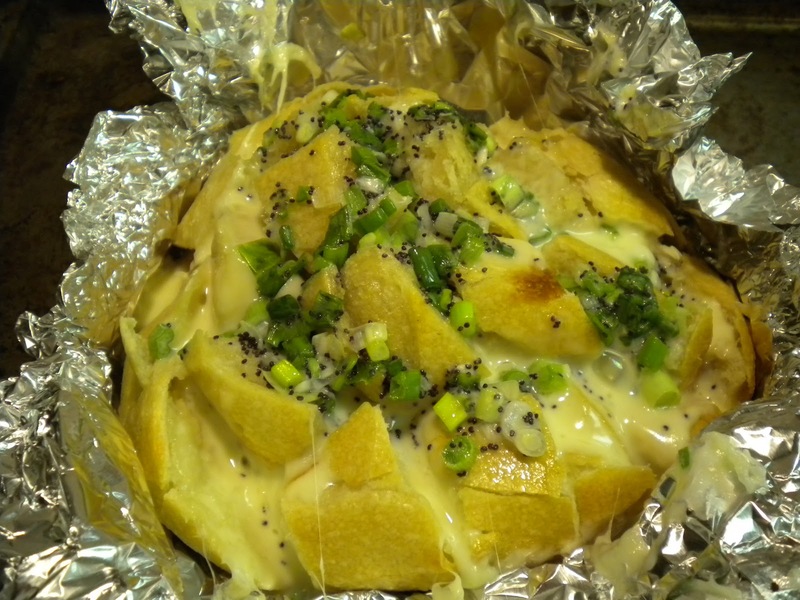 This cheese bread looks delicious! I'd love to try it the next time we have a casual party. Holy cow! This looks de-li-cious!!! Looks so good! You've got me craving some right now! Glad you enjoyed the recipe too! Hi Lynn! This looks fantastic! I'm having the annual Six Chicks party tomorrow night and . . . . I'm thinking this would go extremely well with cosmos. Just sayin'. that is some crazy killer bread, i wish i could tear off a big chunk! Oh wow, does that look amazing! Love the addition of green onions...and that oozing cheese...oh my! Delicious! Guess what I'm requesting Andy make me for Valentine's Day???!!! Yummy. That sounds pretty good to me. It's a whole new take on cheesey bread! I recently made this and completely agree, it is amazing! Hey Lynn! Me and the Chicks DEVOURED this bread. It's outstanding! And, just so you know, it went really, REALLY well with cosmos. I did the personal research.